It’s difficult to keep track of Obama’s actions. While the media was focused on whether or not Obama’s power extended to changing laws, more Gitmo prisoners were released. Apparently Chuck Hagel wasn’t moving fast enough for the Obama Administration, signing off on the release of Gitmo prisoners, so he was fired. At least that’s what the latest White House leaks seem to be saying. They also credit Susan Rice, with engineering the Hagel firing. 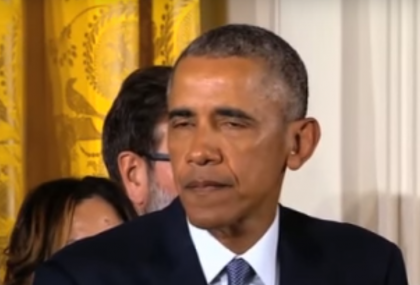 Obama is said to be bitter, still, over his inability to make Susan Rice Secretary of State. By law, the US defense secretary must certify that any transfer of detainees out of Guantanamo would not pose a significant danger to US national security. 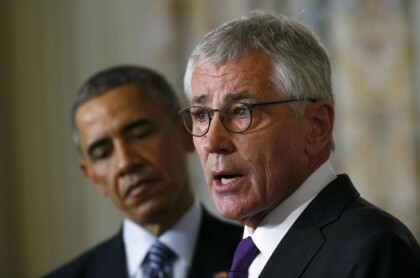 The scuttlebutt on Friday “Inside the Beltway” regarding Defense Secretary Chuck Hagel’s departure from the Obama administration has to do with his slow walking the timetable to close the military detention center (Gitmo) and transfer those prisoners to undisclosed locations. President Obama and his national security team, especially Susan Rice, Ben Rhoades, and Valerie Jarrett, Obama’s closest advisor, are pushing the Pentagon to transfer more detainees from Gitmo before the Republicans take over the U.S. Senate, which gives the GOP more power to stop what they consider a dangerous endeavor by the Obama administration. In the view of White House officials, Mr. Hagel has helped thwart Mr. Obama’s pledge to close Guantánamo with his concerns about the security risks posed by the release of detainees. He recently pulled back from plans to repatriate four Afghans who had been approved for transfer, a decision that annoyed Ms. Rice, officials said. White House officials were also said to be annoyed over a sharply critical two-page memo that Mr. Hagel sent to Ms. Rice last month. He warned that the administration’s Syria policy was in danger of unraveling because of its failure to clarify its intentions toward President Bashar al-Assad. According to the Wall Street Journal: WASHINGTON—The Pentagon is preparing to transfer additional detainees from the U.S. detention center at Guantanamo Bay, Cuba, in the coming weeks, according to defense and congressional officials. The Wall Street Journal reported on Friday that, following five detainees released last week, there will be another round of “transfers” in December, but as usual officials would not give any details the identities or nationalities of the terrorists being released to other countries. Rep. Howard McKeon, R-California, the House Armed Services Committee’s chairman, during a hearing on the increase in notifications by the administration of transfers from the Gitmo detainment facility, blasted the administration’s haste in returning many of the detainees to the international jihad. Counterterrorism, law enforcement and intelligence officials throughout the U.S. believe Obama’s closing of Gitmo is shortsighted and a complete disregard for the safety and security of military, diplomatic and other Americans serving and working overseas. “It’s a verified fact that about 30 percent of the detainees released have returned to the ‘battlefield’ or are involved in recruiting and training young, wannabe jihadists,” said former anti-terrorism task force member and police bomb squad technician Peter Perrosita. 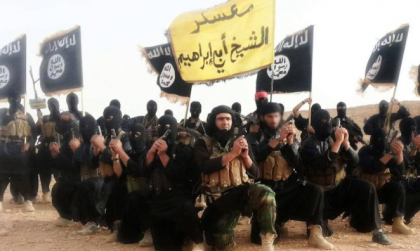 Does Secret Pentagon Report Reveal US “Created” ISIS As A “Tool” To Overthrow Syria’s Assad?